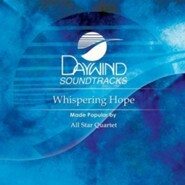 Daywind Original Series Soundtracks are the original master tracks as recorded by your favorite artists. 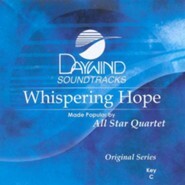 Includes a demonstration by the original artist and a performance track in the original key (C) without background vocals. Lyrics enclosed. I'm the author/artist and I want to review Whispering Hope, Accompaniment CD.